With WHO classifying ‘gaming disorder’ as a mental health condition, has video gaming addiction become a bigger problem than before? Gaming is more popular today than ever before and it is especially popular among teens and youngsters who are hooked to it most of the time. In fact, the World Health Organization (WHO) now recognizes ‘gaming disorder’ as a mental health condition in the International Classification of Diseases and has placed it in the same category as substance abuse and gambling addiction. However, this has not stopped teens and youngsters from spending more and more time playing video games. It has even proven to be problematic, such as in this case, where a 15-year-old from Bengaluru, India is receiving treatment for his addiction to online game PlayerUnknown’s Battlegrounds (PUBG). For those unaware, the popular game PlayerUnknown’s Battlegrounds or PUBG created in December last year has been downloaded over 50 million times. It was the third most popular game in June, even seven months after its introduction. It is available on PC, Android and iOS. PUBG is based on the epic 2000 movie Battle Royale. It starts with 100 players parachuting from a plane onto a large island, where they then search for weapons and gear up for a brutal fight to the death as surviving players edge closer to the center of the island. The players can choose different Mods to fight the enemy and turn out victorious. The game is extra hard and the winner of PUBG is the last man standing. Recent times have seen more and more youngsters getting addicted to video games with those who overplay video games usually have to confront a high chance of getting either mental or physical diseases or even both if not addressed in time. Also, game addicts are often found seen isolating themselves from others in order to play video games or missing out on family events, outings with friends, or other events. While there have been reports about children as young as 13 being treated for addiction to digital technology, more than 1/3rd of British teens aged 12-15 have admitted that they do not have a good balance between phone usage and other activities. “We found that there was a significant proportion of people who were addicted,” said Manoj Sharma who runs the SHUT clinic in Bengaluru, India. Sharma also found addiction was inducing increased levels of stress among all age groups. “Adolescents reported stress because they felt constantly pressured to post messages on social media,” he said. A recent study by researchers from the Bocconi University in Italy and the University of Pittsburgh in the U.S. found that broadband internet users now sleep 25-minute less on an average. Other than gaming, even usage of social media is being recognized as highly addictive. As a result, Facebook and Instagram have introduced a new dashboard that shows the amount of time users spend on the social media platforms. 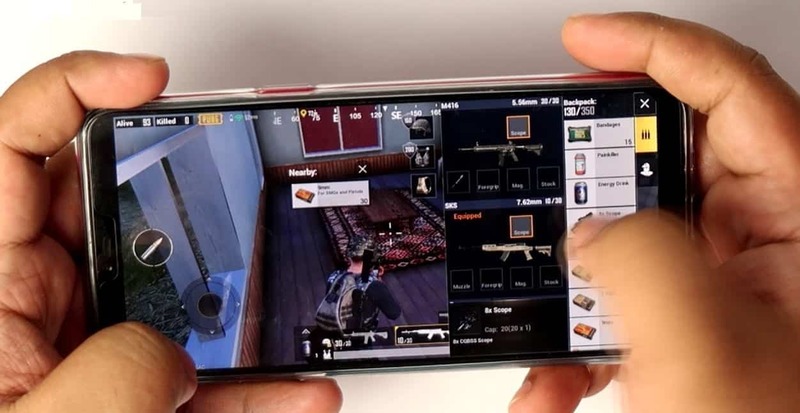 The dual combination of high-speed internet and smartphones has brought connectivity to one and for all anytime, anywhere, resulting in the increasing number of game addicts. As of March 2018, there were 1.18 billion wireless subscribers in India, according to the Telecom Regulatory Authority of India (TRAI), while there are 493 million internet or broadband subscribers in the country.